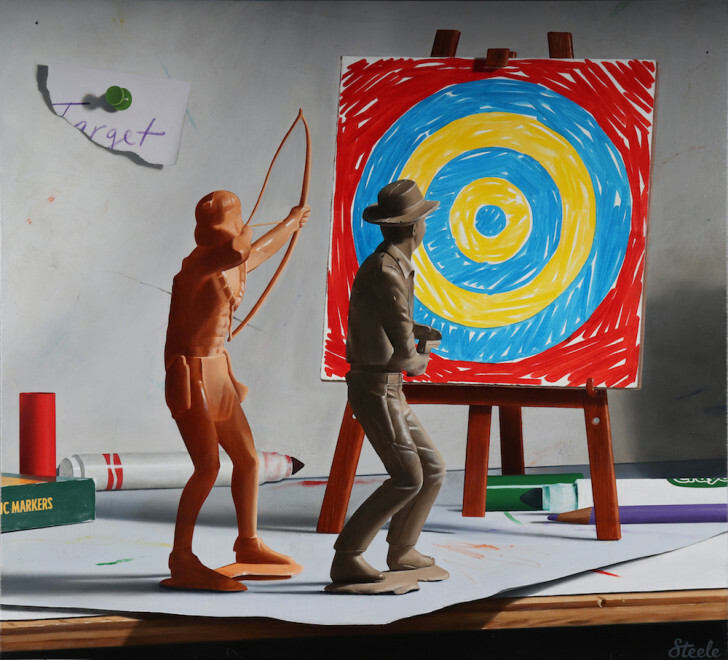 John’s Target Practice: Almost like it was a western scene constructed by Jasper Johns in his childhood. Figures are authentically from the 60s. Kids are the ultimate natural artists to me and I think we can all relate in someway to the freedom we felt to create art as kids (and maybe the importance of bringing that into adulthood). I also liked grouping these two pieces together as the show advertisement because they pair as pop references, share some of the same loud brightness, but are otherwise pretty different.